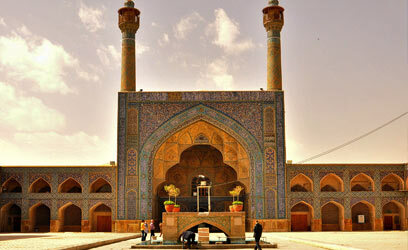 Ali Qapu is a grand palace in Isfahan, Iran. 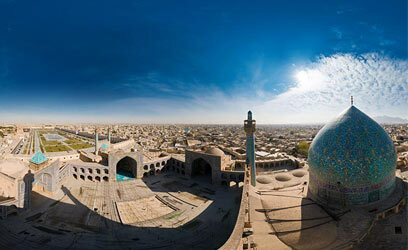 It is located on the western side of the Naqsh e Jahan Square, opposite to Sheikh Lotfollah Mosque, and had been originally designed as a vast portal. It is forty-eight meters high and there are six floors, each accessible by a difficult spiral staircase. In the sixth floor, Music Hall, deep circular niches are found in the walls, having not only aesthetic value, but also acoustic. The name Ali Qapu, from Persian ‘Ālī (meaning “”imperial”” or “”great””), and Azerbaijani Qāpū (meaning “”gate””), was given to this place as it was right at the entrance to the Safavid palaces which stretched from the Naqsh e Jahan Square to the Chahar Baq Boulevard. 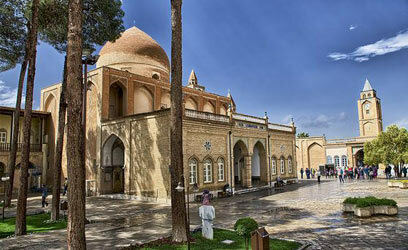 The building, another wonderful Safavid edifice, was built by decree of Shah Abbas I in the early seventeenth century. It was here that the great monarch used to entertain noble visitors, and foreign ambassadors. Shah Abbas, here for the first time, celebrated the Nowruz (Iranian New Year) of 1006 AH / 1597 C.E. Shah Abbas II was enthusiastic about the embellishment and perfection of Ali Qapu. 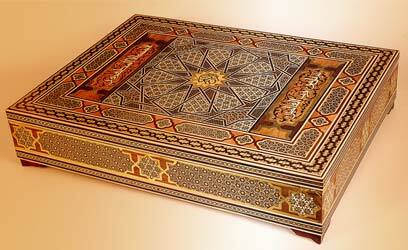 His chief contribution was given to the magnificent hall, the constructures on the third floor. The 18 columns of the hall are covered with mirrors and its ceiling is decorated with great paintings. The chancellery was stationed on the first floor. On the sixth, the royal reception and banquets were held. The largest rooms are found on this floor. The stucco decoration of the banquet hall abounds in motif of various vessels and cups. The sixth floor was popularly called the Music Hall. Here various ensembles performed music and sang songs. From the upper galleries, the Safavid ruler watched Chowgan (polo), maneuvers and the horse-racing opposite the square of Naqsh e Jahan. The palace is depicted on the reverse of the Iranian 20,000 rials banknote. Actually, the palace is depicted on the reverse of the Iranian 20 rials banknote series 1953.